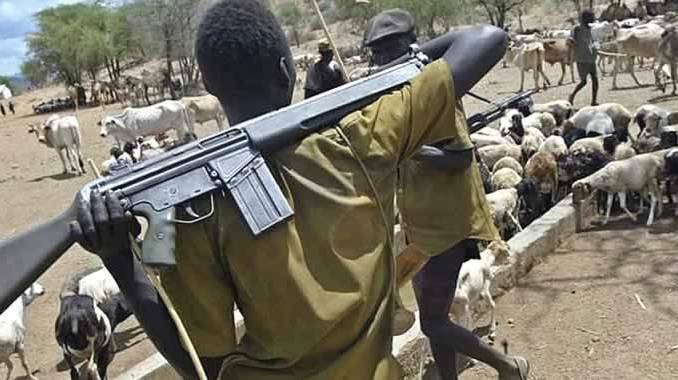 At least, three persons have been reportedly killed in Tiza Village, Tombo Council Ward of Logo Local Government Area of Benue State in an early morning invasion of the area by suspected Fulani herdsmen. Daily Sun gathered from sources in the area that the invaders stormed the village at about 8:30a.m., on Thursday, and laid ambush for farmers who were on their way to their farms. The attackers were said to have wasted no time in opening fire on the unsuspecting farmers killing three instantly while several others sustained various degrees of injury. A community leader in the area, Chief Joseph Anawah, who spoke to our correspondent on the matter, disclosed that the herdsmen came in their numbers wielding sophisticated weapons and blocked farm paths, shooting sporadically at anything in sight. “The Fulani terrorists have continued to wipe out Benue farmers especially in Logo and Guma local government areas. “The terrorists herders have this morning (Thursday) at about 08:30a.m. shot and killed three persons at Tse Tyogbihi also known as Tiza Village in Tombo council Ward of Logo council near Anyiin on their way to the farm. While noting that majority of the locals who were still staying in IDPs camp in Anyii had been devising a means of going to their farms in the morning and returning to the camp in the evening, Anawah said on noticing that, the herders now devise a means of laying ambush for them and killing them on their farms. Confirming the fresh attack on Tiza community, Chairman of Logo council, Mr. Richard Nyajor, said that the herdsmen ambushed four farmers who were on motorcycles to their farms, opened fire on them and killed three of them on the spot, while the remaining person was shot on his leg. Nyajor gave the names of those killed as Aondofa Mkarsha, Emmanuel Iorliam and one Mr. Msugh, while the fourth person, who sustained gunshot wound, has been taken to NKST Hospital, Anyiin, for medical attention.